One reads so much about the influence of John Coltrane on the sounds of jazz over the past five decades (since his passing) but many believe that his contemporary and still-quite-alive fellow saxophonist Wayne Shorter (who will turn 85 in late August of this year) has had and still has just an important of an influence. 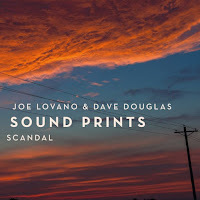 Saxophonist Joe Lovano and trumpeter Dave Douglas created a quintet, Sound Prints, to explore Shorter's influence and music. 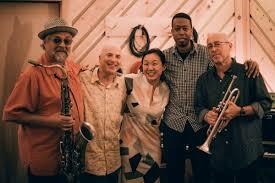 The band's second recording is called "Scandal" (Greenleaf Music) and features the same rhythm section - pianist Lawrence Fields, bassist Linda May Han Oh, and drummer Joey Baron - as its 2015 self-titled debut live recording for Blue Note. Because both leaders are so oft-recorded, one should know what to expect when they get down to making music. Both play with fire, both with abandon (check out the trumpet solo on "Full Sun" as well as the tenor sax solo on Shorter's "Fee Fi Fo Fum") yet the music would not be so impressive without the excellent rhythm section. Baron, who first recorded with Douglas when both were members of John Zorn's Masada in the early 1990's, is the perfect drummer for this outfit. He captures the excitement that Tony Williams brought to the Miles Davis Quintet of the mid-1960s yet also plays with such a high touch (listen to his brush and cymbal work on Douglas's "Ups and Downs" as well as the Latin-tinged fire of Lovano's "The Corner Tavern"). Ms. Oh, who has worked alongside Douglas for the past seven years, is solid and inventive plus her solos are delightfully melodic. Pianist Fields has worked and recorded with Lovano, drummer Jeff "Tain" Watts, trumpeter Christian Scott Atunde Ajuah, and drummer Terri Lyne Carrington. On the title track, his background work beneath the solos is quite inventive and engaging. When he steps, as he does on Shorter's "Juju" and Douglas's slyly funky "Mission Creep", Fields not only swings but shows great power and thought. Listen to his intelligent backing on Lovano's "Full Moon"; it's impressionistic and not cliched as well as the lovely opening minutes of the final track, Douglas's "Libra." 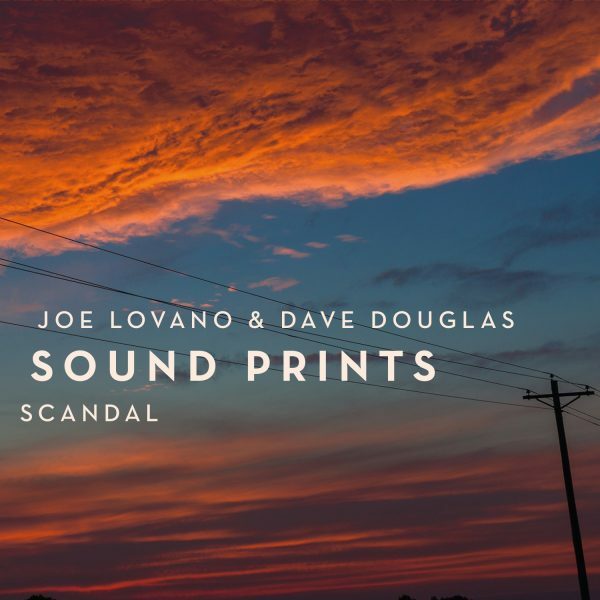 "Scandal" is easy to recommend to fans of Joe Lovano and Dave Douglas. 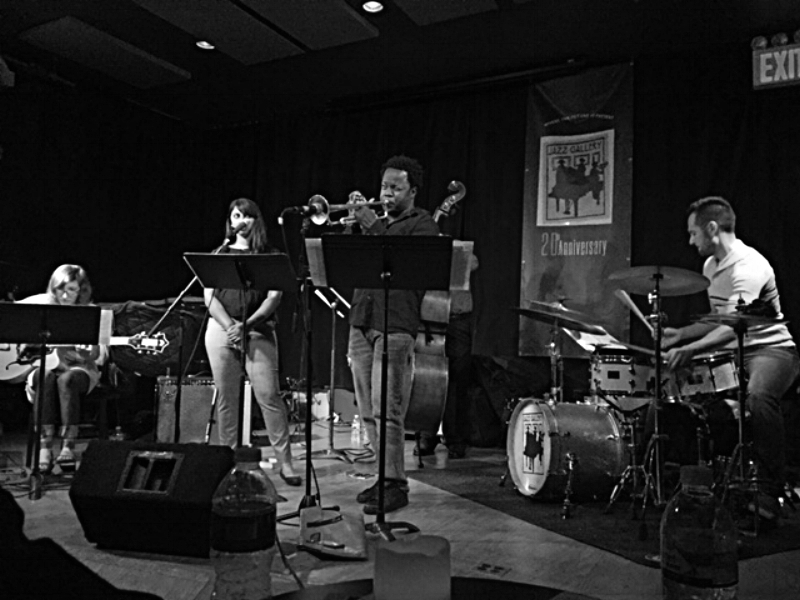 The music blends their myriad influences whether it be Clifford Brown, Booker Little, Miles Davis, Sonny Rollins or the afore-mentioned John Coltrane and the group's inspiration Wayne Shorter. Sound Prints will appeal to fans who have followed creative music for many years and to younger listeners who want to understand how creative musicians push through the borders created by genres. Try to see/hear this band in person so that you can see creativity, interaction, and intelligence in action. For more information, go to greenleafmusic.com/scandal/. Over the past decade, guitarist, composer, and conceptualist Mary Halvorson has played in numerous settings, from several of Anthony Braxton's groups to alongside drummer Weasel Walter to Marc Ribot's Young Philadelphians to duets with fellow guitarist Noel Akchoté and pianist Sylvie Courvoisier to a trio with pianist Jason Moran and cornettist Ron Miles (BANGS) to her fellow Wesleyan grad (and Braxton student) Taylor Ho Bynum. She has co-led groups with bassist Stephan Crump (Secret Keeper) and violist Jessica Pavone plus led her own trio, quintet, septet, and octet. One of her other ensembles is Thumbscrew, a trio that features drummer Tomas Fujiwara and bassist Michael Formanek. Ms. Halvorson has developed a unique voice, one that allows to fit in many different settings as well as being a stand-out soloist. Her new album for Firehouse 12 Records features a quintet composed of Messrs. Formanek and Fujiwara plus trumpeter Ambrose Akinmusire and the fascinating voice of Amirtha Kidambi. The group and its 2-CD set bear the name Code Girl: it's the guitarist's first album on which she writes both songs and lyrics. It's a riveting combination of sounds, the powerful work of Akinmusire combined with Ms. Halvorson percussive yet melodic style and the fascinating work of Ms. Kidambi who has worked with saxophonist Darius Jones and leads the contemporary experimental band Elder One. The rhythm section keeps the music flowing, swinging at times, and, in the case of Formanek, quite melodic in his support and counterpoint. 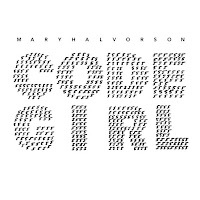 If you are familiar with Ms. Halvorson's music, you know that she has no fear so one will hear swatches of "free jazz", "hard bop", and "prog rock" without falling totally into categories. "Possibility of Lightning" has so much going on, from its nearly impenetrable lyrics (excellently articulated) to the fuzz guitar solo to the playful interaction of trumpet and guitar. Ms. Kidambi can be added instrument as she shows with her march-like attack throughout the song. There's a calm beauty to "Storm Cloud", just voice and guitar on the opening verse. Formanek's bowed bass comes in for the next verse and here one hears a sound reminiscent of the late bassist Jack Bruce's more experimental work. Even when the trumpet and drums enter, the music remains calm and focussed. There are compelling moments throughout the 90+ minute program. In the opening minutes of "The Unexpected Natural Phenomenon", one can hear the influence of Gil Evans-Miles Davis's "Sketches of Spain" in the how the music moves and the airiness of the background. After Ms. Kidambi sings through the verses, she breaks into a wordless vocal that suggests the work of Jeanne Lee. 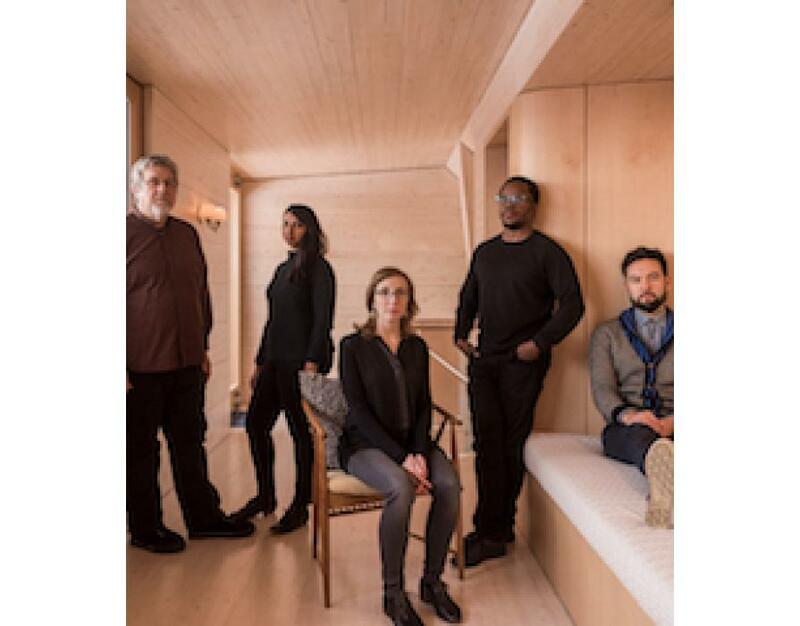 That inventive direction leads to fiery solos from both Ms. Halvorson and Akinmusire plus listen to the powerful drums beneath the trumpet solo that leads to the Fujiwara's thunderous solo. Dig the bass drum, low bass notes, and Ms. Halvorson's quiet chords at the opening of "Drop The Needle", a tune with a double-tracked vocal and more of the Jack Bruce feel. The verse in the middle of the song, the one that goes "one might drop the needle/ an entire song transcends/ repeat a twirling hypnotic/ melody in descending order", may be the best description of the album. 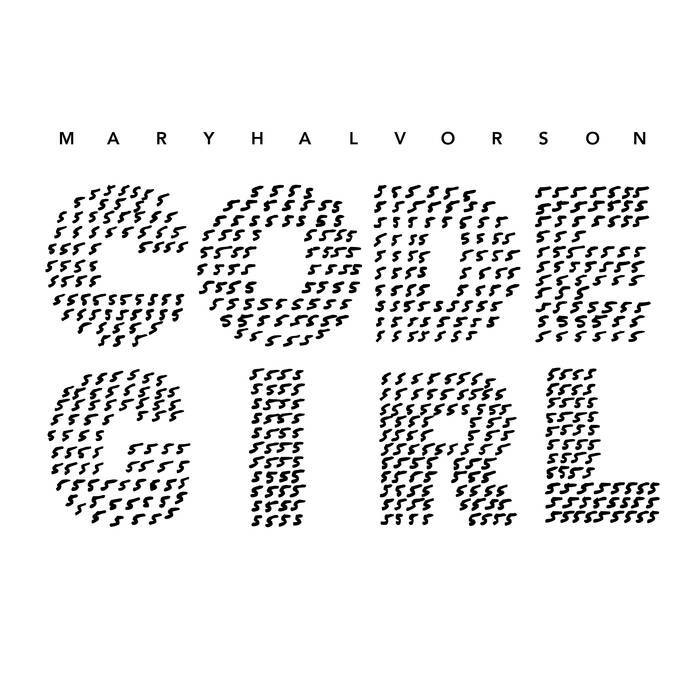 "Code Girl" makes more sense the more you listen. Music is a "code", it speaks to all of us in different ways and we respond to various sounds, solos, lyrics, and emotions. 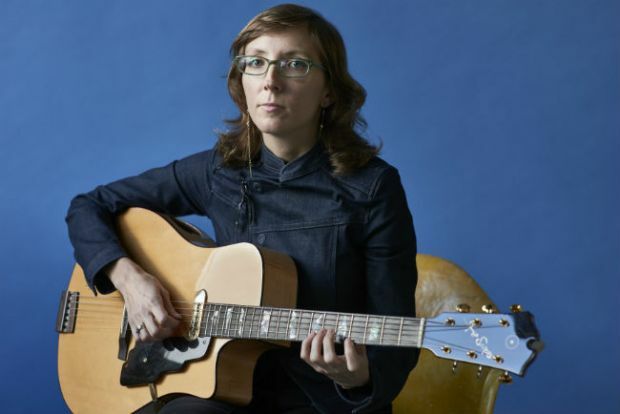 Mary Halvorson is a sound master (bless those "bent" notes) and has created a new, fruitful, fertile, direction for her music. One can really tell that she, Tomas Fujiwara, Michael Formanek, Ambrose Akinmusire, and Amirtha Kidambiare are each so emotionally involved in this music. It may initially sound different but, once you invest yourself in this program, there are numerous musical rewards.